Okay - I've about had it with folks who leave trash in front of their homes, expecting it to be picked-up by the City. I think the worst part about it is the general confusion that comes from DPW's soft-sell "spin" of the issue. They continue to argue that bulk pick-up isn't really ending, it's only changing - with the change being that they will no longer pick-up your bulk trash on a monthly basis. As a result, there are actually Warrendale residents who are expecting DPW to come to their home this month to pick-up their bulk trash. I will say this once more for anyone who hasn't been paying attention. 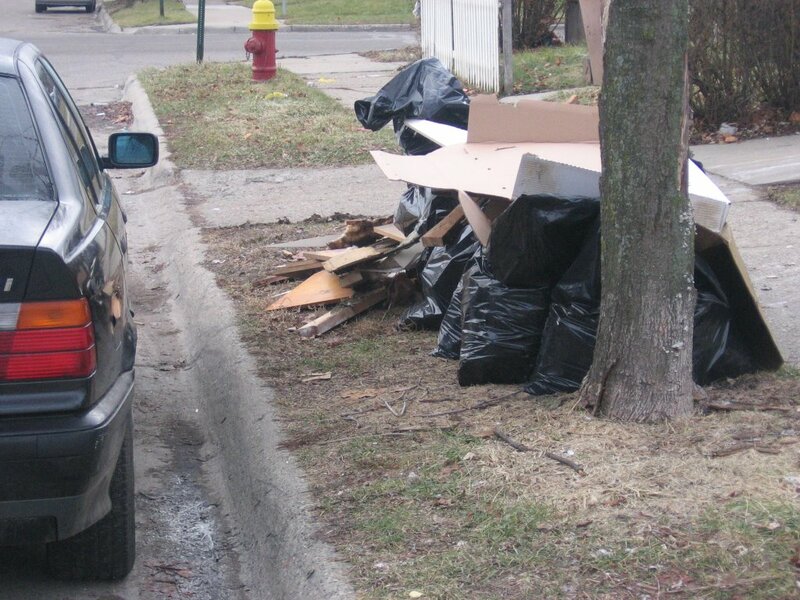 The City of Detroit has ended monthly bulk pick-up of our trash. Our next bulk pick-up of trash will not happen until May. Since we can't have an effective City Administration who is willing to handle this thing properly, the burden - as usual - falls on the taxpaying residents who will have to pick-up the City's slack. With that in mind, I designed a simple flyer that you can leave on those piles of trash your neighbors leave out. You can download it here as a PDF. I recommend printing it and leaving with your neighbors. If you don't want to be confrontational, you can leave it in the middle of the night. Tape it to their piles of trash. Stuff it in their mailbox or on their windshield. Whatever. Let's just get the word out.